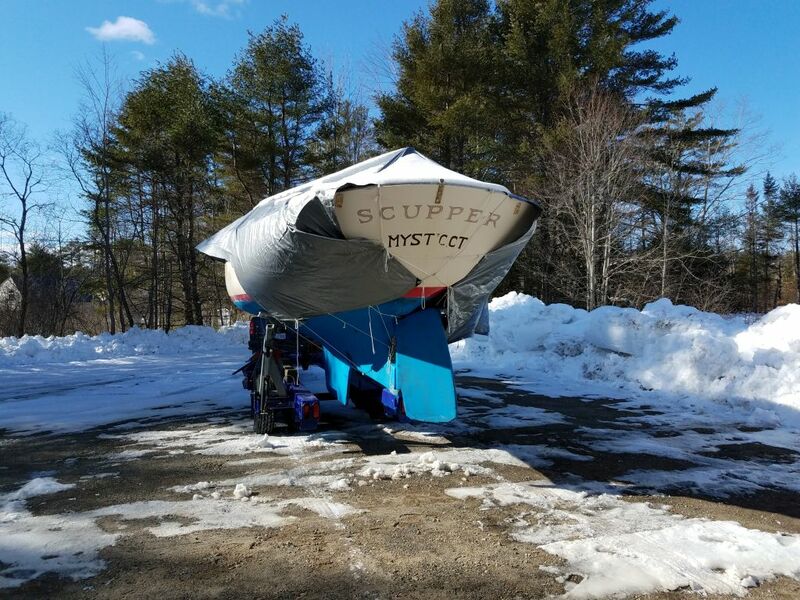 Just over a week earlier, after several weeks of above-normal temperatures and no snowstorms, the ground around Scupper’s storage area had been bare and easily accessible. 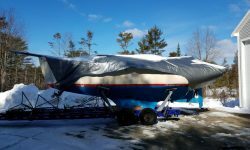 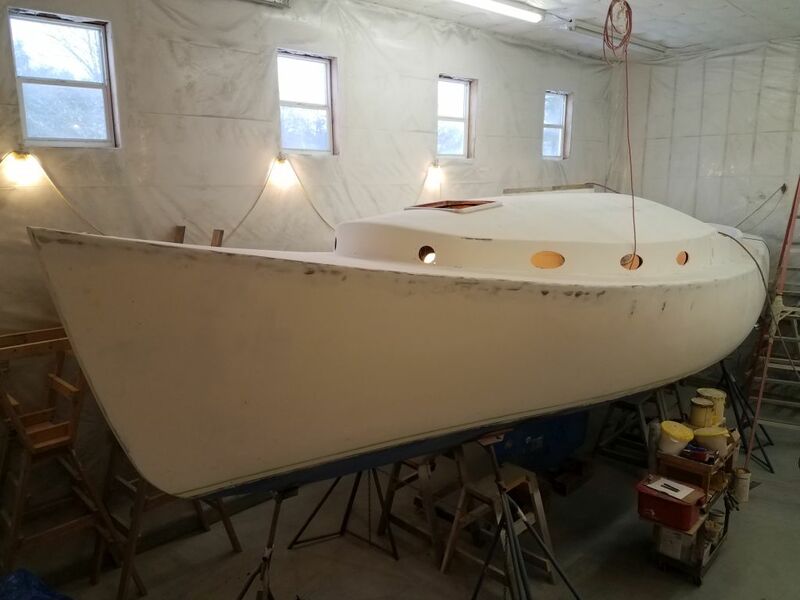 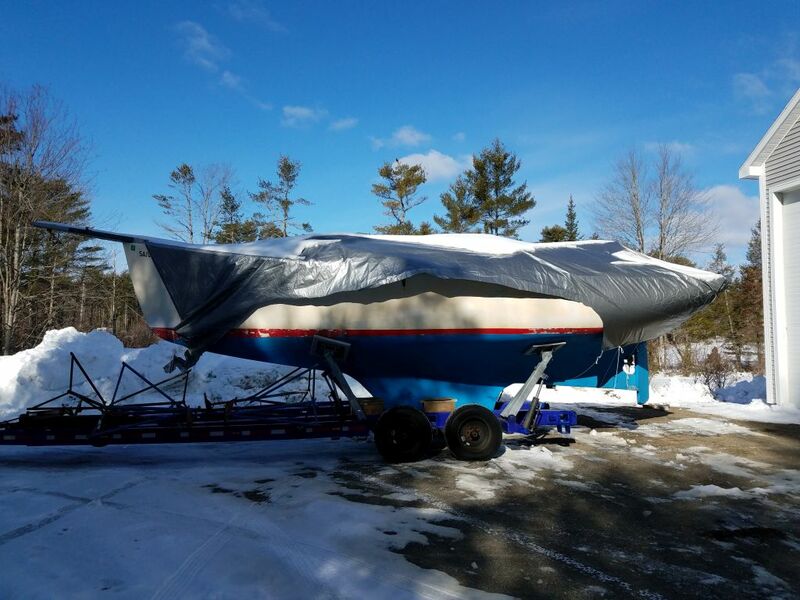 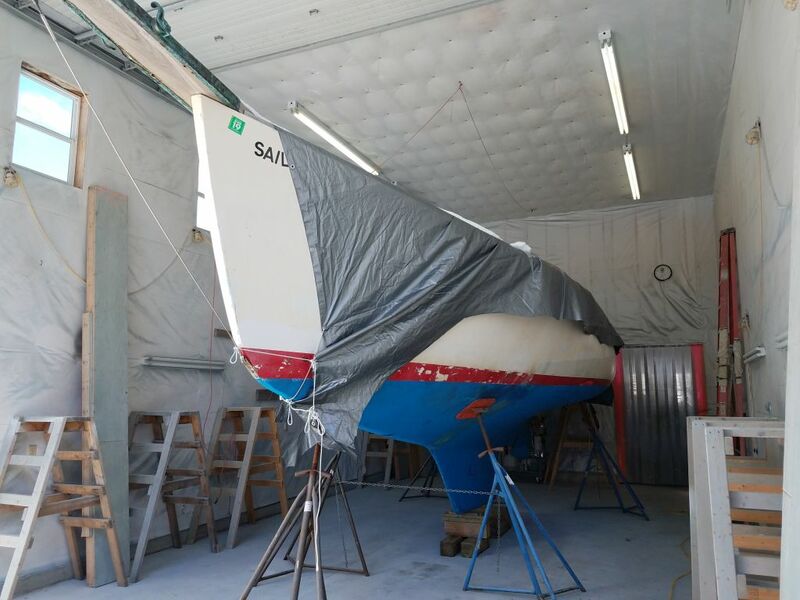 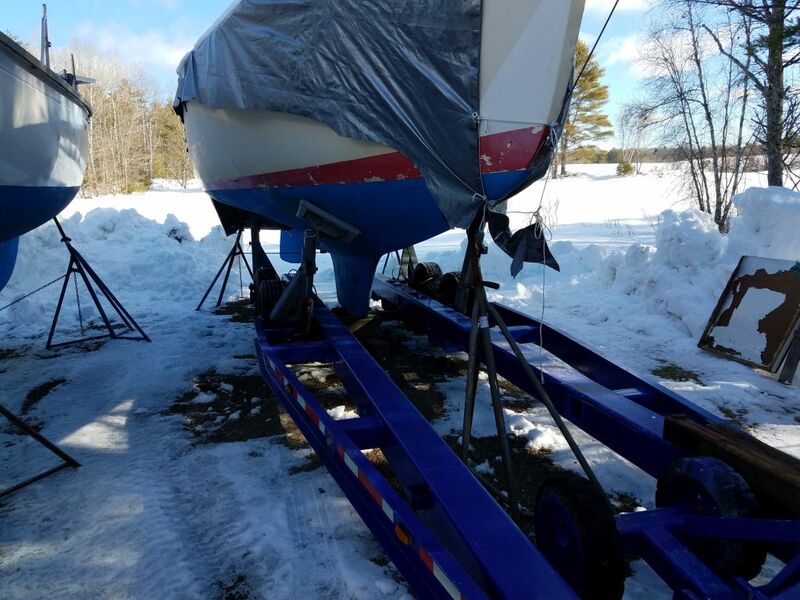 Alas, two hefty snowstorms over a period of only 5 days changed that, and just a few days before I was planning on shuffling boats and moving her indoors. 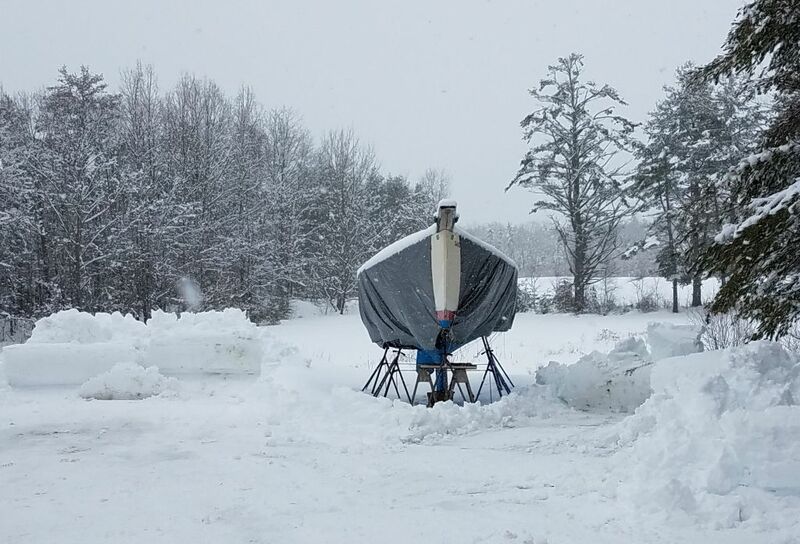 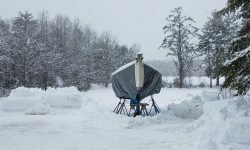 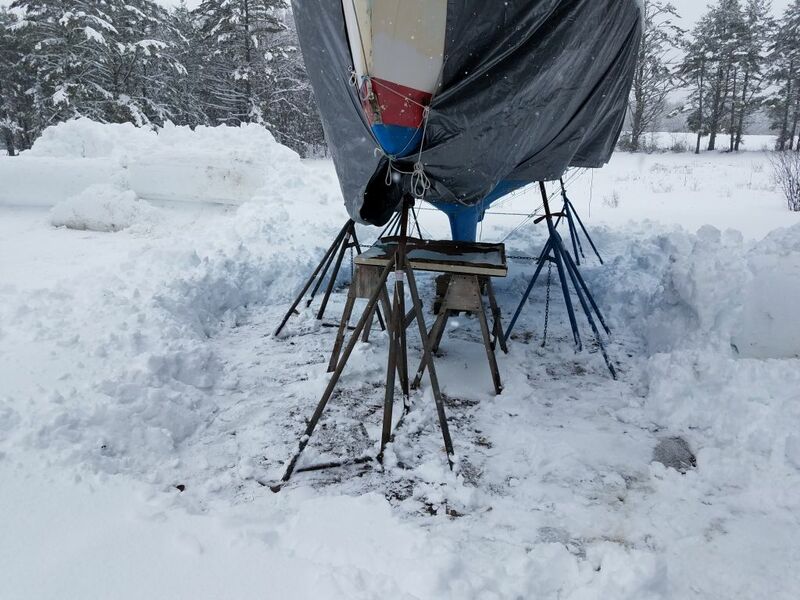 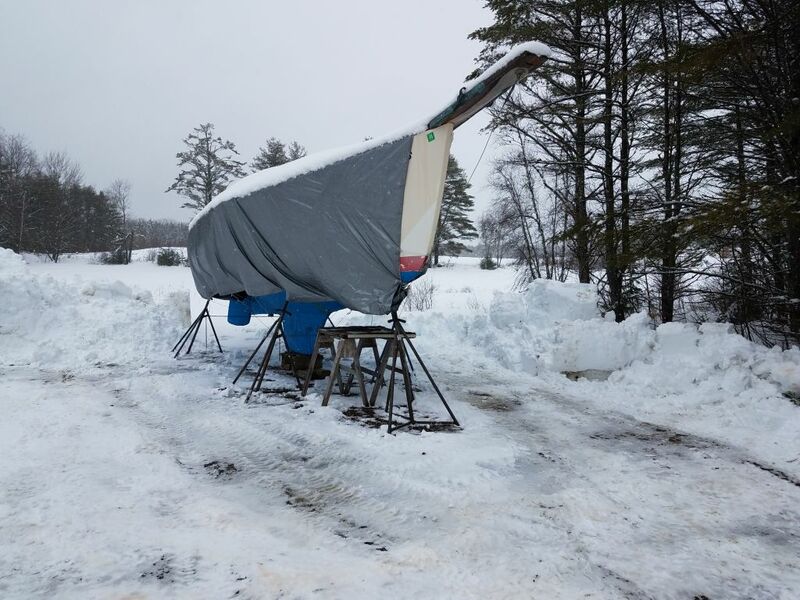 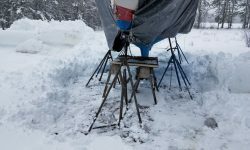 After both snowstorms, I shoveled out around the jackstands to keep them from freezing into the ground or ice, and after the second (larger) storm on March 13, I took advantage of warm-ish post-storm temperatures to move the rest of the snow from around the boat, cleaning out an area with abundant room for my trailer. 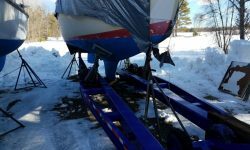 Now, after another day’s wait while I attended to another project and gave the area a bit of melting time, I had as good a chance, weatherwise, as I was likely to get in the foreseeable future to move the boat indoors: sun and temperatures on either side of freezing, with the ground firm after overnight. 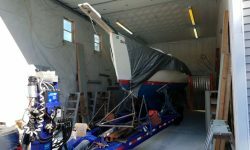 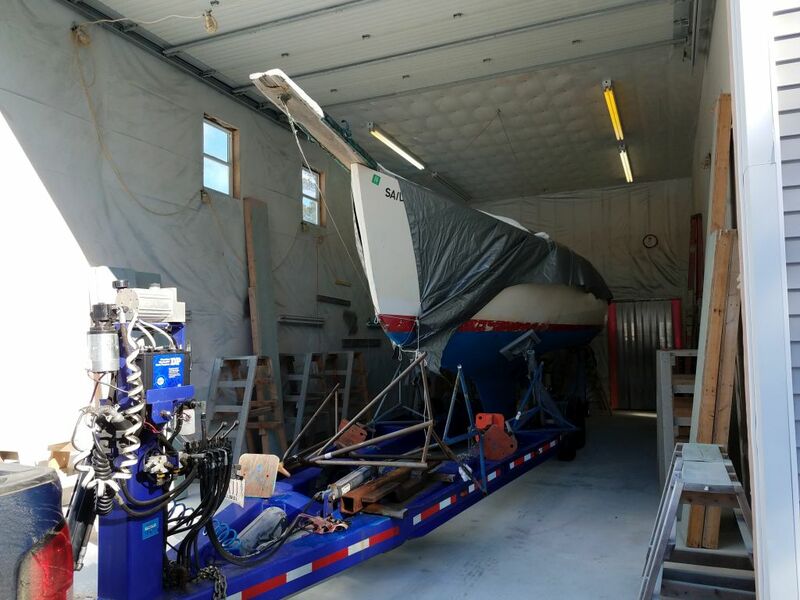 So after I moved out the project I just completed, I picked up Scupper on the trailer and moved her in. 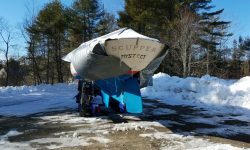 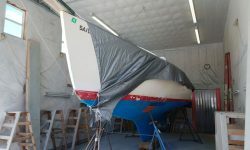 I didn’t bother removing the tarp, as I just wanted to get the move completed, but with some gusty winds I did take the precaution of cutting off what I could to prevent it from possibly becoming a sail in a wind gust. 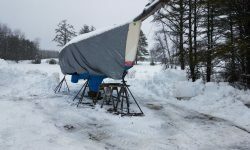 The move was uneventful and I was grateful to have her safely indoors, where she could thaw and melt off and I could get to work in the near future.